tour through the GEO CENTRE. Offered throughout the day during the summer months, we’ve got a tour for every taste- from a journey through the past, to a geological hike, outside on our grounds. The Summer Talks & Tours Schedule begins in July. 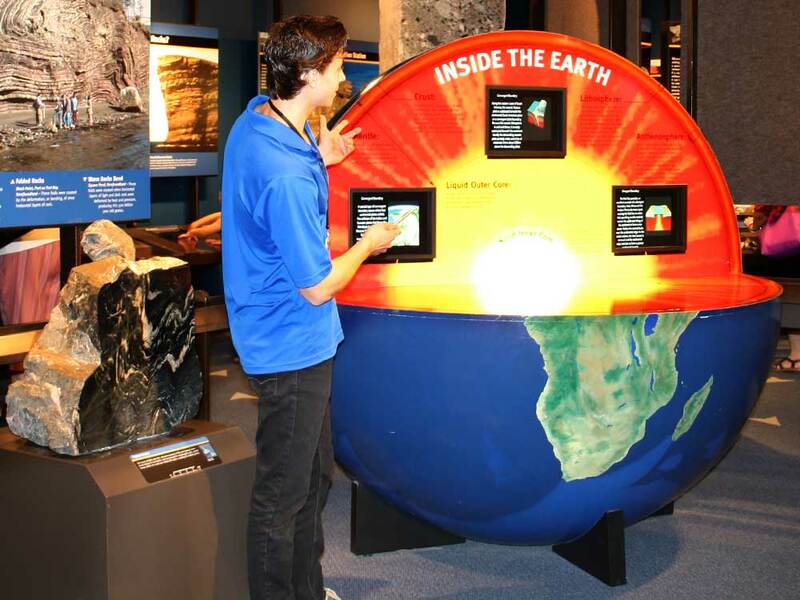 From rocks to outer space… Discover the geological showcase that is Newfoundland and Labrador, and our ever changing understanding of space. From simple to complex life… Discover the rich history of ancient life written in the rocks of the province, and why dinosaurs are not found here. From fossils to fuel… Discover the ancient history of oil formation, how it is discovered and the Newfoundland story. From dream to disaster… Discover the complete picture, the truth behind the myths, and decipher the facts from the fiction. Tours take about 20 minutes, and can be modified to suit different ages and interests.